A clean, concentrated floral nose reminiscent of elder and acacia flower with ah hint of sage, leads to a fresh, distinctive palate with nicely rounded fruit, light oak spice and a crisp finish. Enjoy it with a snack of fresh goats' cheese and smoked salmon pâté with crusty bread, or as a partner for lobster tail salad, full-flavoured fish dishes, scallops stir-fried with ginger, or goats' cheese soufflé. 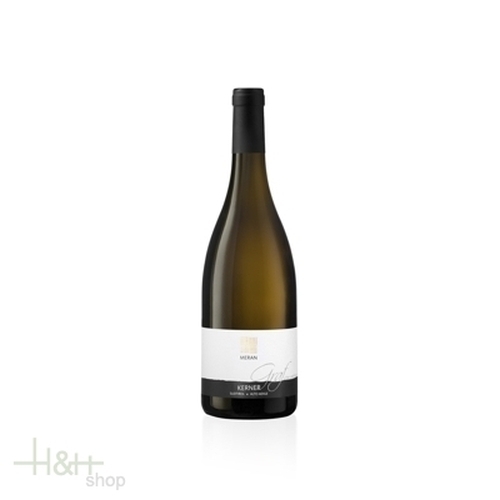 Moscato Giallo South Tyrol - 2017 - winery H. Lun 12,95 EUR / 17,27 €/lt. Lagrein Riserva Vigna Castel Ringberg - 2014 - Elena Walch 35,15 EUR / 46,87 €/lt. Müller Thurgau Graun - 2017 - Winery Kurtatsch 15,85 EUR / 21,13 €/lt. Schiava Freisinger - 2017 - cantina Termeno 16,85 EUR / 22,47 €/lt. Gewürztraminer Roen vend. tardiva -2017- cantina Termeno 29,95 EUR / 79,87 €/lt. Chardonnay Merol - 2018 - Winery St. Michael Appiano 15,35 EUR / 20,47 €/lt.